We are happy to bring you this mid-year update of recent developments at Project Wadi Attir. In spite of our many challenges, things continue to develop well with the project. Even for us veterans, it is often an uplifting experience to enter the project site. The transformation is hard to believe. The place is full of life and activity—the sounds of birds and the laughter of children mingle in the air. Hundreds of students and visitors from around the world virtually flood the place. All of this is very gratifying when contrasted with the barren, empty site of the early days. At the same time, and perhaps less visibly obvious, members of the project team have been working diligently on developing, improving and refining our product offerings. As a result, income from economic activities has been steadily rising, moving us ever closer to the goal of economic self- sufficiency. 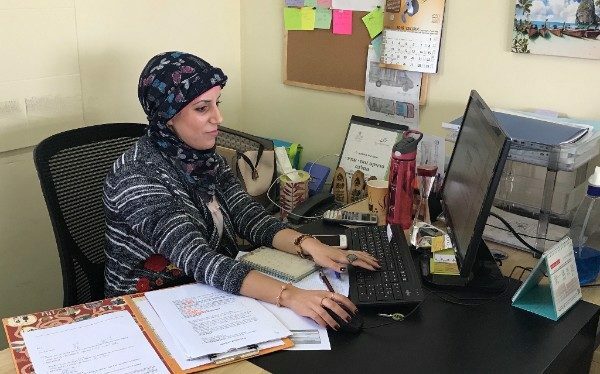 A most exciting development, consistent with the project spirit and our goal of empowering women, has been the appointment earlier this year of a young Bedouin woman, Lina Alatawna, as the Director General of the project. This unprecedented move has been very well accepted by the project team, within the community, and by the project’s many supporters and friends. You will learn more about Lina below. For the rest of the year we plan to continue to strengthen our team and the project’s management capacity; complete the project capital development program, including our integrated infrastructure of green technologies (with our hybrid solar, wind and storage energy system scheduled to become operational next year); and continue to increase income from operations. We look forward to the moment, likely early next year, when we can say with some confidence that we were able to accomplish most of what we set out to do just over ten years ago.